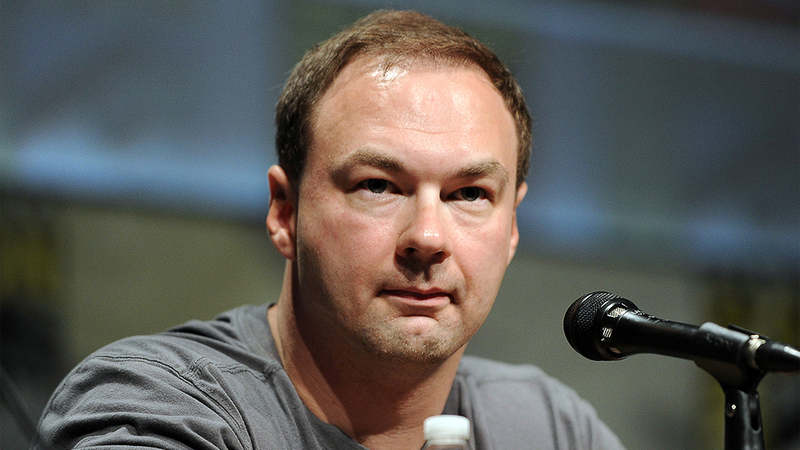 CEO of Legendary Pictures Thomas Tull has resigned from his position. After selling Legendary to the Wanda Group in early 2016, Tull's approach to projects caused frustration among the new owners. The Hollywood Reporter specifically cited The Great Wall and Pacific Rim 2 (Uprising) as projects in which Tull's management left something to be desired. 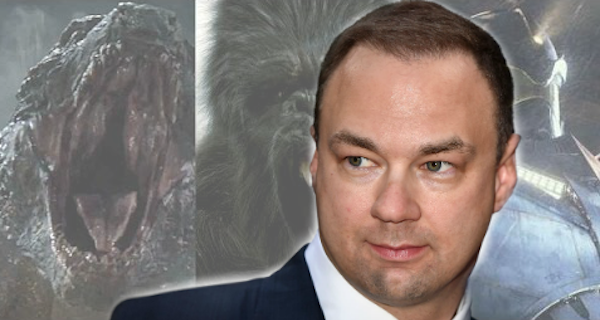 Although Tull is no longer Legendary's commander & chief, he will continue to be a producer on what is being called the "Monsterverse" (Godzilla: King of Monsters, Godzilla vs. Kong) and the upcoming Dune by Blade Runner 2049 director Denis Villeneuve. Wanda CEO Jack Gao will oversee Legendary Pictures until a new lead is hired. Meanwhile, Tull will focus on his media based Tull Investment Group. We wish Mr. Tull well after 17 years of developing action packed monster mayhem and heroes and we hope his work on the Monsterverse will be for the best. LOL The Godzilla sequels aren't happening now; set your watch for the cancellation announcement. This "monsterverse" will never happen now. For the past year I tried not to be negative about this "universe." We had the director leave, we had the movie pushed back 9 months, and now the guy who pushed for all of this to happen is resigning. The Godzilla sequels will not happen. The hard truth is that people don't really want these movies and on top of that Gareth Edwards massacred Godzilla 2014; Cranston dying 40 minutes in, the CONSTANT cutaways, these things turned people off and it's why G14 had a great opening weekend and nothing more. Hope he doesn't screw up the Godzilla VS Kong. I've been waiting too long for a remake. Godzilla vs Kong isn't happening now. Mark my words. I think that largely will depend on how well Skull Island performs--Which I'm far more concerned about. Well let's hope it does. There is always a possibility that "Godzilla: King of Monsters" will happen. I want to be wrong, but they waited for that hack Edwards to finish star wars and they waited too long. No one cares about Godzilla anymore. Your jumping to another dimension of conclusions, jiger9899. What I'm curious about is what exactly Wanda found undesirable with Tull's management of Pacific Rim 2. I also think Godzilla will continue to press on. As Gman stated, Godzilla sold very well overseas, as did Pacific Rim. I do not see them pulling the plug on their monster-verse, it's too profitable. However like Gman, I am a tad concerned for Skull Island's turnout. I expected the marketing for that film to have been significantly more involved leading into 2017. A lot of people I speak to don't even know there is another Kong movie coming out... in 2 months. With Godzilla, everyone knew about it. People seem to always immediately jump to the worst possible conclusion every time there is any news about Legendary Pictures' upcoming Godzilla films. While Tull stepping down does legitimately raise some uncertainty regarding Godzilla: King of Monsters and Godzilla vs. Kong, it's way too early to start jumping to "all the future Godzilla films are cancelled" and "Godzilla 2014 was a failure and Godzilla is dead" just because the main man who built this "Monsterverse" is no longer Legendary's CEO. All we've seen so far is one movie, a movie which despite a fair deal of controversy among fans and filmgoers was ultimately a critical and financial success. General consensus is that so far Kong: Skull Island looks promising, and it's less than two months away. The future of the Monsterverse will largely rely on how Skull Island does, and I plan to remain optimistic and look forward to seeing the movie. Plus, I think Legendary has invested too much into the Godzilla and Kong properties to just immediately abandon their proposed cinematic universe. My point is, this is no cause for panic. Perhaps some anxiety and uncertainty, but certainly not accepting the worst-case scenario immediately. Like I said I WANT to be wrong, unlike some people on "the other site." Lets remember that Thomas here is also to blame for the production of Godzilla. Don't think this means the end to anything yet, it just means a lot gets heaped on Kong's shoulders. If it happens to fail that will probably have a bigger effect on the upcoming movies than before. zillafan98, I blame Gareth Edwards and Max Borenstein for the awful parts of Godzilla '14 more than anything else. There was a lot to that film I thought was great, though. Since Tull is staying on to produce Godzilla 2 and G vs Kong, hopefully Shields and Dougherty will adhere to his vision better than Edwards and Borenstein did. Jesus H. Christ. I'm wondering how many people skipped the part he's still aboard as a producer in this article. He's only stepped down. He hasn't left the business. @Gman2887 and @Chris, I'm in that same boat. I'm really concerned with Kong skull island. Too many people are saying "I'm not seeing it because Kong doesn't look like the 2005 version" or, "it's not a sequel to the 2005 film." If Kong skull island fails, that's when we all can start to begin heavier grief. And if for some odd reason legendary ends up cancelling the other films, then we have to thank 2014 for bringing Godzilla back. It's not my favorite film, but it will definitely deserve credit for doing justice to the character and reviving the franchise. If KoM and GvsK get cancelled, it didn't revive jack [email protected]#t.
Huge-Ben- People just really like to nitpick these days don't they?